how much Buffy merchandise do te have? Which of the buffy baddies do te like the most? There is an app called Amino for ios and android. Amino has a ton of communities for various interests like technology, anime, video games, Film and tv etc. In these communities te can make blogs, polls, and preferiti for all te preferito things regarding that genre o show. 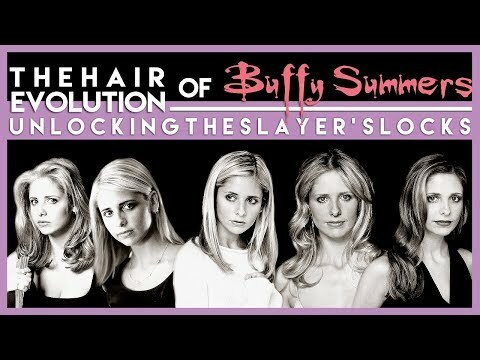 One of the particular communities is called Buffyverse where te can discuss all things Buffy and Angel. I know that's what everyone already does here but this sis a mobile community that's a bit più active. From my perspective, Willow makes a great friend for Buffy. Xander really irked me when he was dishonest with Buffy about what Willow had detto in her message to Buffy. After all, it is my honest opinion that a friend that is honest and yet nice about it is a good friend to have. Of course, a friendship cannot be built on dishonesty; it takes good qualities like compassion, honesty and loyalty to build up a friendship and make it grow stronger through the storms and fights of life, no matter how many there are in this life. Dracula was the historical Vlad Ţepeş. He claimed to have killed più people than God’s plagues combined before he was ever a vampire, and made reference to impaling people in times past (such as those who failed to mostra him deference, for example). He met and “hung out” with Anyanka, a vengeance demon and Patron Saint of Scorned Women, when she was about 700 years old. Anyanka had cursed a man da making him incredibly obese, and Dracula complimented her da saying that the man was doomed forever. If Buffy had died while Faith was in a coma...they wouldn't have called on another Slayer?? I mean, according to the tradition it would've required Faith's death to bring the successivo one along. His grey eyes narrowed as they took in the scene in front of him, Lucius Malfoy, sitting at the counter of Helen’s cucina in Los Angeles, California, set his jaw in a firm line. Buffy, her blond hair now in pigtails, was wearing a white uniform with a red-and-white-checked tablecloth pattern collare and sleeves and a red apron. Pinned to the front of her uniform was a name tag with the name “Anne” on it. a pop quiz question è stato aggiunto: Who detto "Here endeth the lesson" first. a comment was made to the poll: Buffy The Vampire Slayer who should Xander marry? a pop quiz question è stato aggiunto: Who had not tried out for cheerleading? in wich season is willow a dark wich?